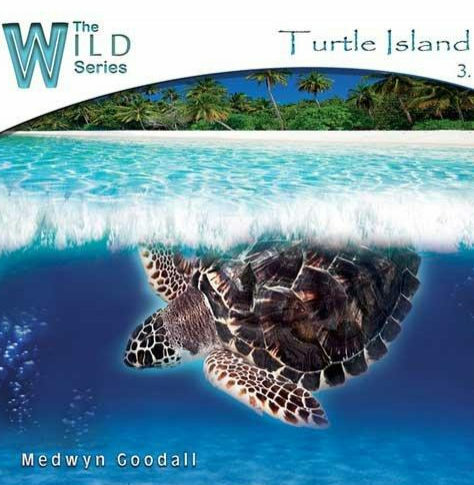 I love Medwyn Goodall’s albums that have a water theme. Here we have the albums The Way of the Dolphin (1992), The Way of the Ocean (1997) and the more recent Island Bliss/Earth Goddess (2006) – one of my all time favorite albums. Now I’m happy to say that we can add Medwyn’s new album Turtle Island to this list too. It’s been quite a number of years since I have developed such an album and so it was an obvious attraction and choice for me for this series ( . . . and a good excuse to research all the ice cream on the beach). I also love Turtles, such graceful creatures, gliding peacefully through the lagoons, coral and shallows. I myself also did some research myself, so I listened to the album while lying poolside with a water view at Rhodos, Greece. And yes, Turtle Island is a gorgeous album, filled with the sounds of waves, dolphins and light pan pipes, guitar and synth. It is an uncomplicated album from start to finish, perfect for relaxation on or off the beach. Fans of Medwyn’s early discography will feel right at home, while new listeners might want to try some of his albums published after 2000 before going on a journey to the Turtle Island.